The walled, Roman city of Chester offers visitors a very interesting snap-shot of city development through the ages, with buildings that have survived from Roman times, through Medieval and Industrial development. Well known for its Rows with its black and white architecture, covered walkways and crypts lurking beneath, Chester offers the best of all worlds, this and ‘other’. Apparently visible only to men, the Bear and Billet Inn boasts a phantom maid who, it is said, died of starvation after being locked in a room in the inn. She is reported to haunt the staircase and only makes herself known to male visitors. The inn has also been the location of reports of poltergeist activity along with unusual screeching noises which have been picked up on people’s answering machines. The misspelling of the Marlbororough Arms pub sign is said to be as a result of a sign writer, who back in the nineteenth century, encountered the ghost of a former landlord of the pub who had some years earlier, slit his own throat. Apparently, the fright caused the sign writer to hastily finish the sign, failing to spot his own spelling error. In the years since, people have reported hearing the gurgling of the phantom in the basement of the pub. In recent times, a well-known travel review website left feedback for a visit to Ye Old Kings Head in Lower Bridge Street. As well as leaving a review of the food, the visitor reported recording orbs on a video she took during her visit and the feeling of being on a ship, rocking from side to side (she said it wasn’t the beer). She discovered after this unusual experience, that some of the structure of the building was built from wood taken from some of Lord Nelson’s ships. She heartily recommends that ghost hunters visit for a unique experience and a good meal too. Once you’ve located your ideal haunted hotel, Chester offers a wealth of fantastic architecture, monuments and experiences to make your stay one that you’ll never forget. In addition, Chester offers wonderful eateries, the most ancient and quirky of places of interest such as Chester Racecourse, the oldest racecourse in Britain or you can go along to Chester Cathedral for a Height Tour which features a 200 step climb up the tower. Easily accessible by major motorways and rail links Chester should be on every ghost hunter’s to-do list. 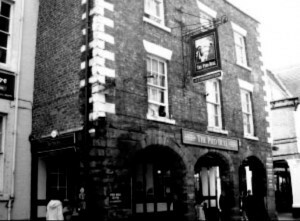 We feature just some of the most haunted hotels in Chester. 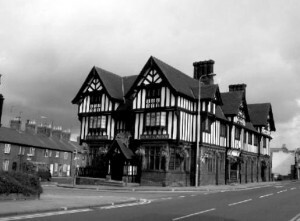 If you know of a haunted hotel in Chester that we’ve missed, we’d welcome your suggestion. Just click on the ‘Contact Us’ link in the footer at the bottom of the website.